The Islamic Institute is a world wide Islamic Academy. 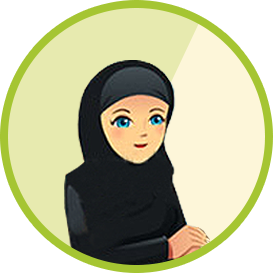 Its Purpose is to provide online quranic education to the people. This Project was started keeping the people in view who can’t learn Holy Quran due to lack of resources. Fill out the Form to Register yourself ( Register Now ) or Call us. We will contact you soon via E-mail or phone . Our Email responding department is online for 24 hours a day. They will contact you soon as they will receive your Registration Form. They will also guide you to install the relevant softwares . After you are registered a free trial of 1 class will be given . It will be up to you to choose our services or not. We will be happy for your free Trial. * A computer system / laptop / Tab / Smart Phone With a Big Screen. * A Broadband internet connection DSL/Cable. * A Microphone and Speakers. How would online classes take place? Classes will be organised on your desired time. Softwares ( Skype etc ) will be used for the conversation. Screen of Tutor will be viewable by the student by which the lessons will be effective and easy. Online Audio chatting will also held during the same task.